Today’s a great day to put an empty cooler in your car and drive to Battle Ground Bakery. Have them make you up some deli sandwiches for lunch and, while you’re waiting, enjoy a cup of coffee and a donut or muffin. Any choice will not disappoint. Heading west on 219th St, take a left on 72nd Avenue and pull into Love Leathers Outpost. Although geared toward bikers (and I’m talking the motorized kind), they also sell jewelry, t-shirts and other interesting knick knacks. Pick up their monthly newsletter and make a plan to come back for one of their scheduled breakfasts or barbeques. Back on 219th, your next destination is East Fork Cellars Winery just over one mile north of the 219th St intersection with 10th Ave. With potentially seven wineries to visit today, I recommend the swirling and spitting technique as opposed to swallowing unless you have a designated driver. East Fork has a unique setting in that it shares its parking lot with Pacific NW Best Fish Co. This place sells the most amazing fish tacos in their café among other things. Definitely peruse the market before or after your tasting. Less than three miles away off NE 29th Ave is Three Brothers Winery. As is the case with many wineries, Three Brothers hosts a summer concert series so be sure to ask about the upcoming line up. Taking nothing away from the craftsmanship and artistry of other wineries in the area, Bethany Vineyard is arguably the big daddy of visual mastery. The expansive view as you meander up the drive is equal only to the whimsical pond that is made the backdrop of many weddings and special events. This might be your perfect place to enjoy the picnic you’ve been carrying around with you. Belly filled, it’s time for a bit of an adventure. Thirty five minutes away, in a pastoral setting near a railroad crossing, sits Moulton Falls Winery. 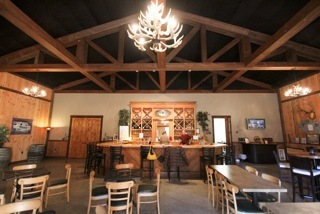 For your efforts you will be rewarded by an impressive tasting room. Walking in, you are overtaken by the smell of wood and the vastness of the space and then envy the group who’s scored the leather couches in front of the woodstove (or become the envied). Moulton Falls teams up with the Chelatchie Prairie RR for wine runs throughout the year so be sure to inquire about their 2013 schedule. Keep an eye out for Jake, their Great Pyrenees mix who looks like a golden retriever on steroids. Less than 15 minutes SW brings you to Heisen House Vineyards which has the distinction of being a National and State Historic Site. In addition to tastings, they have scheduled festivals throughout the year. 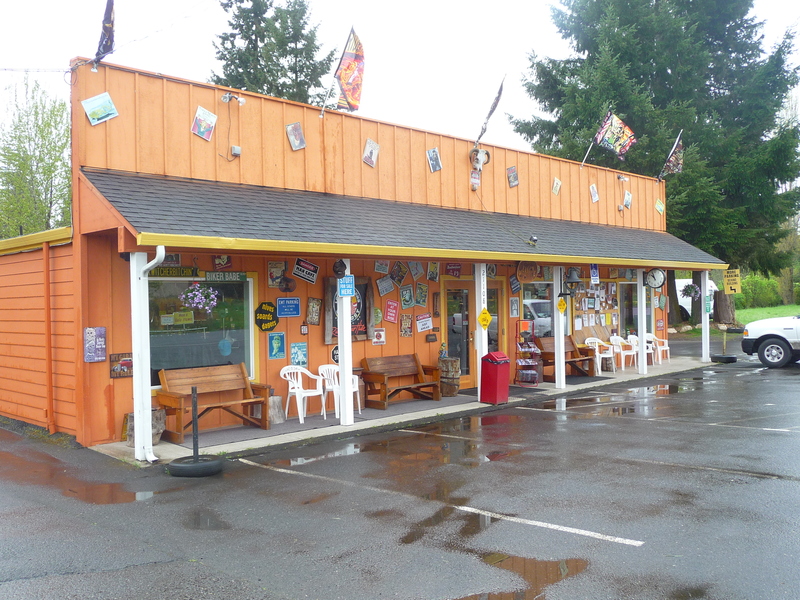 If you’re in the mood to poke around a quirky country store, be sure to take a left out of their drive onto NE 279th St and pull into Heisson Store, home of the politically incorrect yet uproariously funny Red Neck board games as well as other locally made gifts and foods. Heading back toward downtown Battle Ground, be sure to stop in at Olequa Cellars on 142nd Ave but be aware they‘re not open every Saturday. Brian’s wines are worth the time it takes to plan and prioritize. The unique name comes from the type of soil in our area. If you’re still standing and able to distinguish a Riesling from a Sangiovese, you’re in for a treat because a five minute drive takes you to Rusty Grape Vineyards and, fortunately, they’re open until at least 9pm. This place has a lot going on; live music, movies on the lawn, craft fairs, wood fired pizza, craft beer, oh, and wine. Admittedly, this is an aggressive wine tasting tour coupled with some fun pit stops so you might want to break it into two different days. We have a lot of award-winning wines being grown and blended in our area. Make it a point to get out and explore for yourself. I have a friend who’s lived in New York City for years and yet, on a recent visit, my husband and I raved about frozen hot chocolate we were served at the world-renowned Serendipity 3 and she had never heard of it much less been there. Which leads me to my point; it’s worth it to take a day to be a tourist in your own town. Something wonderful could be right under your nose. 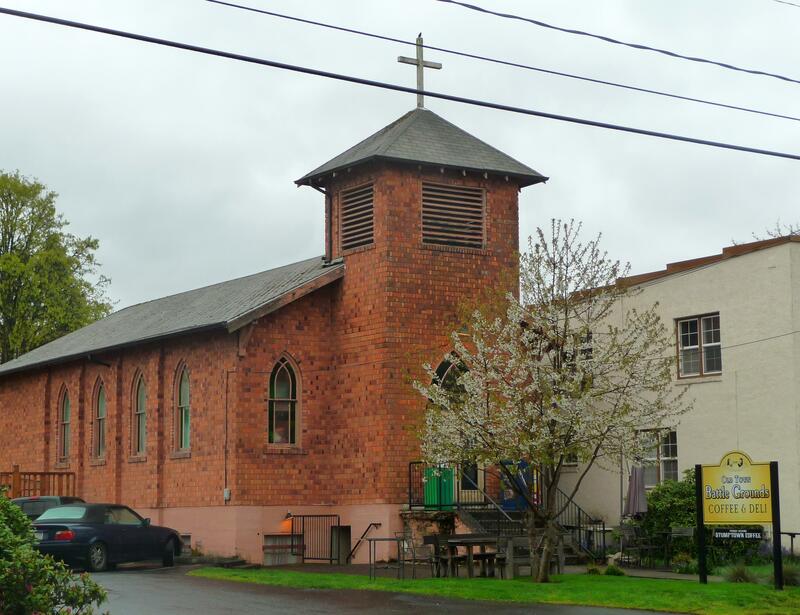 Battle Ground has a terrific coffee shop tucked into an 85 year old church called Old Town Battle Grounds. Order a breakfast burrito to pair with your Americano and you have a great start to a perfect day. Five minutes north on SR 503 is Lewisville Park. Set along the banks of the Lewis River, this parks’ trail system meanders through 154 acres of tall timbers and expansive lawns. With the main trail measuring three miles, it’s an excellent opportunity for some fresh air and exercise in a beautiful setting. As long as you’re up this way, why not drive another 25 minutes northeast to Moulton Falls Winery. Surrounded by impressive woodwork, a tasting here can be coupled by a picnic brought from home in a leisurely, unhurried atmosphere. If you choose to come a little later, food is available after 5pm. Speaking of food, have you checked out Pasta Gigi’s in the Battle Ground Village or Battle Ground Produce at the end of Old Town? We are so fortunate to have these two gourmet markets in a city our size. They each have more to offer than meets the eye so stop in and be inspired. Still not ready to call it a day? A two minute drive east on 219th Street takes you to Rusty Grape Vineyards. With live music every evening they’re open and a friendly set of owners, they’re quickly becoming the “Cheers” of Battle Ground.